As one of the largest and most diverse states in the world, Western Australia is never short of unique and extraordinary holiday experiences. Here you will find our list of must see and do's - all bound to inspire and surprise. Perth's idyllic island playground, Rottnest is just a short ferry ride from the mainland and a world away from city life. For such a tiny island, this car-free and carefree Class A reserve packs a lot of pleasure into a day. With no cars on the roads, riding is the best way to get around, with bicycle hire available at the ferry terminals and on the island. If that's too much effort, you can hop on and off the Bayseeker Bus which regularly runs around the island, dropping you off at some of the more secluded beaches and surf breaks. 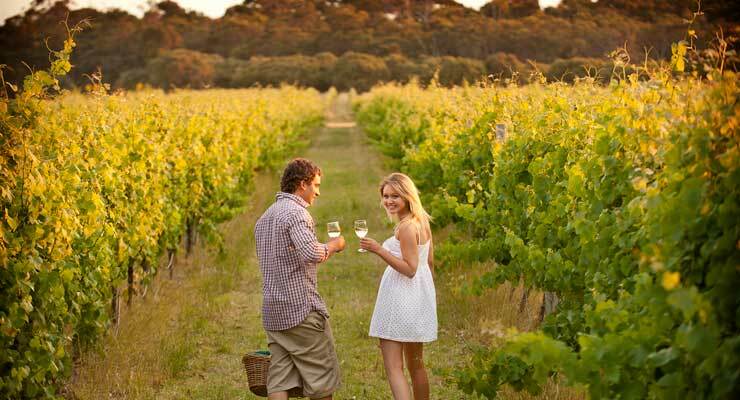 Margaret River and its premium wine region is the place for indulging many passions. It's the only wine region in Australia where you can hop from award-winning wineries and restaurants to stunning beaches, tall-timber forests, world-class surf breaks and ancient caves. Lake Cave is, to put it simply, a mirrored wonderland. Home to the "suspended table" a spectacular crystal decoration weighing several tonnes that hangs from the ceiling, almost touching the waters of the lake. It is thought that this may be the only decoration of its kind in the world. WA Visitor Centre in Perth!